. Published on August 4, 2017 . Southern charm at its finest, Raleigh has so much to offer the wondering traveler. From music and festivals to local delicacies, Raleigh, North Carolina is the the perfect picture of modern meets historic, and the southern hospitality doesn’t disappoint. We want your trip to North Carolina to be a memorable one. So, join us on our journey into Raleigh, where we’re going to take a deep dive into all there is to experience. Follow these four recommendations to help you save time and to put together a memorable vacation of everything you won’t want to miss. Not everyone likes to do the same things, and Raleigh knows that. That’s why there’s the entertainment districts, each with its own personality and flair. There are plenty of art-filled galleries on tree-lined sidewalks, eclectic districts just for shopping or dancing, and other entertainment venues that take you back in time with cobblestone streets and antique lampposts. There’s something for everyone. The best shopping and dining in downtown Raleigh are broken down into the following five main districts: Glenwood South, Capital District, Warehouse District, Fayetteville St. District, and Moore Square. Each offers dozens of restaurants, cafes, art studios, and quaint shops. Some of our favorite galleries include Lucky Tree, The Green Monkey, Mahler Fine Art, Vita Vite, Adam Cave Fine Art, Bev’s Fine Art, and Nicoles’s Studio and Art Gallery. Here you’ll be able to shop, dine, play or stay. North Hills has everything to offer for the visiting guest. You can visit the spa to feel refreshed or shop around for a new outfit to look fresh. Or, channel your inner foodie and visit one of the many restaurants that offers something for any pallet. Don’t forget to visit our Cariloha store and ask our local employees what they recommend doing and where they love to eat. No need to worry if the kids will have fun, because they’re going to have a blast. Raleigh is a great family-friendly destination. Your kids will get to experience museums, live music, sports, rich history and so much more. From family fun centers to outdoor adventure parks, the entire family is guaranteed to feel the rush of fun. Some of our favorite family-friendly places and spaces: North Carolina Museum of Natural Sciences, Marbles Kids Museum, Historic Yates Mill County Park, Adventure Landing, Crowder District Park, Monkey Joes, Pullen Park, Dead Broke Farm, Umstead State Park, Eno River State Park and Historic Stagville. Travel off the beaten path and experience Raleigh the way the locals do. You can find local experts that will take you on unforgettable tours and remarkable workshops where you can learn more about famous Raleigh resident’s stories, passions and undeniable talents. Best Tours in Raleigh: Trolley Pub, Triangle Glides Tour, Tobacco Road Tours, Historic Raleigh Trolley Tours, Beltline Brew Tours, Capital City Tours, and Raleigh Walking Tours. 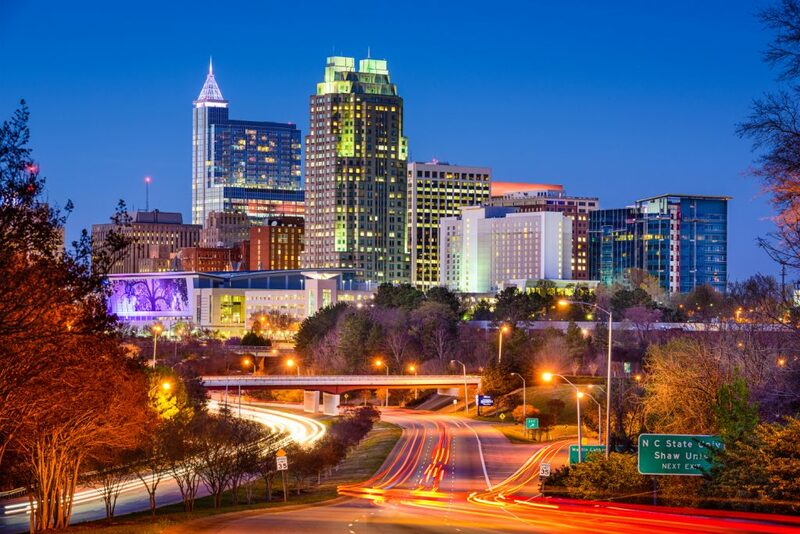 What’s your favorite thing to do it Raleigh, NC? Let us know in the comments.